The holidays are always a cause for celebration, and celebration calls for festive cocktails to share with friends and family. If you’re not a fan of Champagne or sweet drinks, sometimes your preferences are left off the holiday drink menu. If you’re hosting this year and need a drink to satisfy any palate, try whipping up this Merry Moscow Mule. 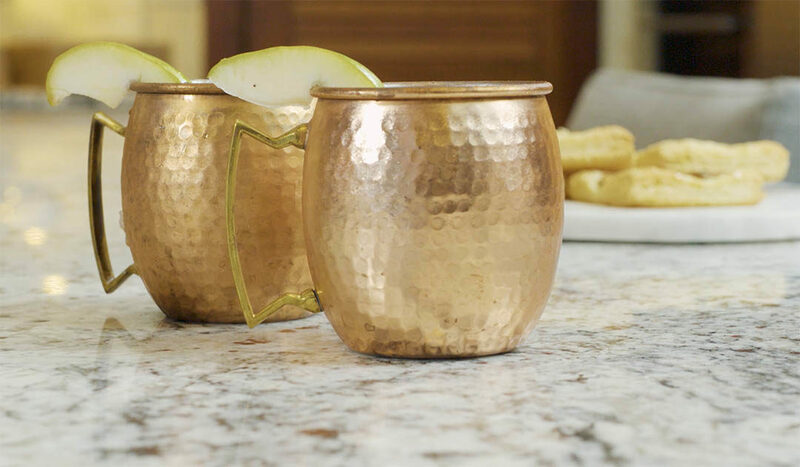 A classic Moscow Mule is one of the simplest classic cocktails to prepare. 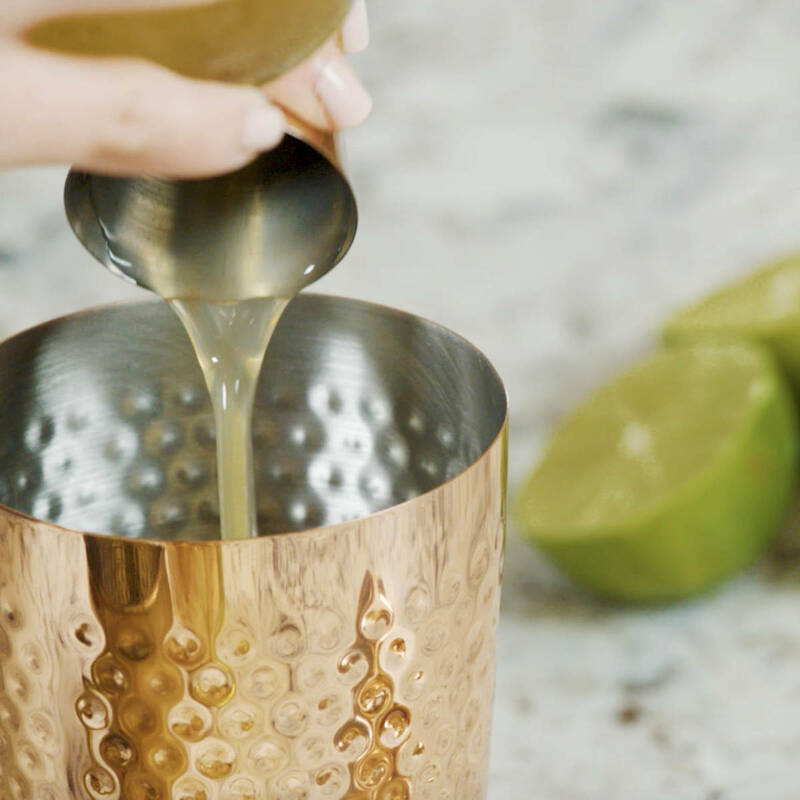 With just a can of ginger beer, a splash of vodka, a squeeze of lime, and an iconic copper mug, this drink packs a spicy and flavorful punch. We’re putting a twist on the traditional recipe with the addition of a spiced pear simple syrup. Just cook down some delicious Royal Riviera® Pears and your favorite winter spices to create a syrup that will add a subtle sweetness to any beverage. The amount of syrup can be adjusted depending on how much sweetness you like, but we prefer a 1:2 ratio of syrup to alcohol. And, depending on your taste in spirits, the vodka can be substituted for rum (called a Dark and Stormy) or whiskey (a Kentucky Mule). Not a drinker? Ginger Beer is non-alcoholic and tastes amazing with the addition of the syrup and lime. Cheers! Pour juice and sugar into pot and bring to boil, stirring until sugar is completely dissolved. Add cinnamon stick, nutmeg, cardamom, and diced pear and cook down for 2-5 minutes. Allow mixture to cool completely and then strain to remove residual spices and fruit pieces. Store in a mason jar in the refrigerator for longest shelf life, syrup should make 5-10 drinks depending on preferences. Fill a cocktail shaker with simple syrup and vodka. Shake vigorously. Pour liquid into copper mug, then add juice of half a lime. Pour in half a can of ginger beer, and fill remainder of mug with ice. 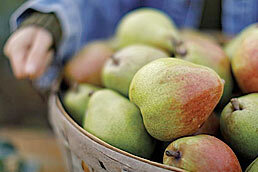 Just received a box of pears for the holidays and loved them. 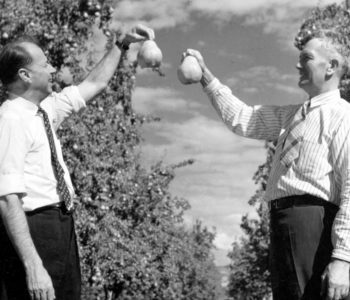 They are the best pears we have ever had! 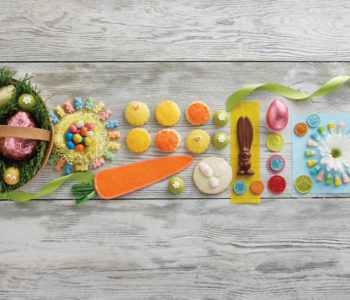 It was so much fun finding recipes to make. Is it possible to speak to someone about guest blogging on how we enjoyed the box?